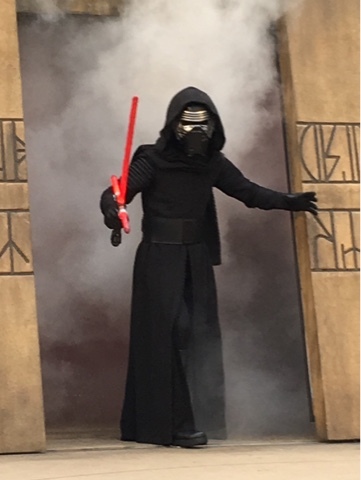 With the popularity of the latest Star Wars movie, it is not surprising that Kylo Ren has popped up in several spots at Hollywood Studios. Lately, he can be seen at Jedi Training: Trials of the Temple. He was recently added to the finale of this experience, which makes it even more fun. I took this shot last week, during a show that my young tour guest participated in. I just came back from there. I had so much fun. By the way, if you own a business and need to keep your documents stored in an online data room. It's the best way of keeping it.